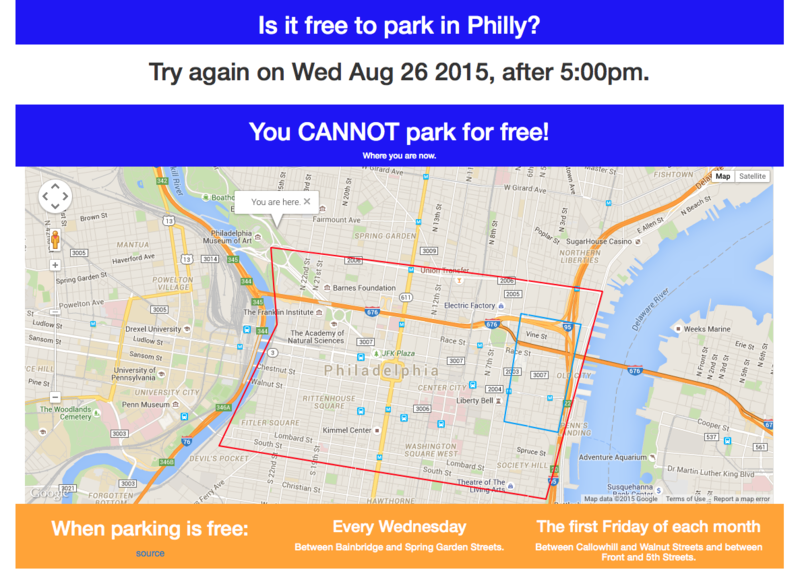 FreeParkingPhiladelphia is an app that I thought of one day when I realized how confusing it was to park for free in Philadelphia on Wednesdays. 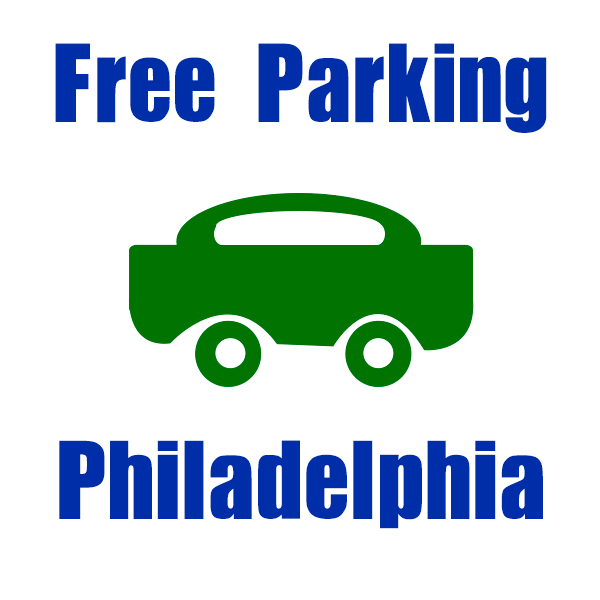 Philly offers free parking in center city within specified boundaries after specific times, and also on the first friday of every month. Using Meteor.js I designed this app to get your location on your computer or smartphone, and let you know if it is free to park there. If its not free, the app will let you know the next time it is free to park. I have personally used this app many times, as it has practical application in my life and the lives of other drivers in the city of Philadelphia. Code for the parking app is available on the github page found here! To view a copy of the application, visit the site here. A screen shot of the online application.